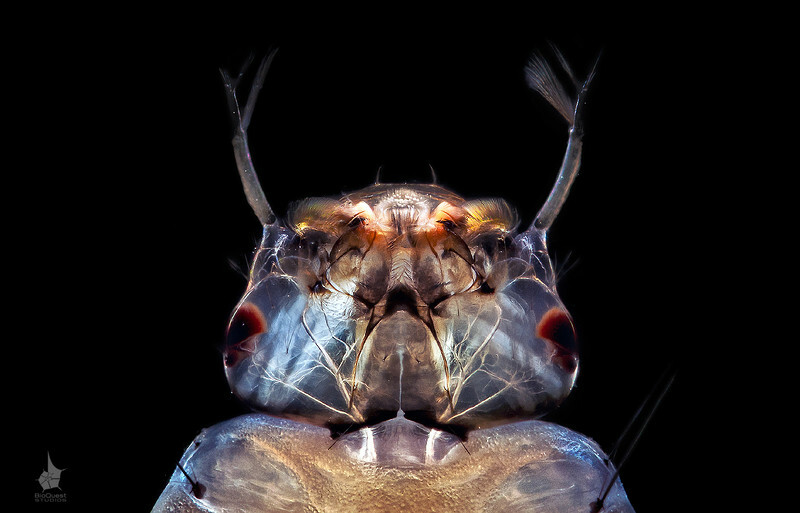 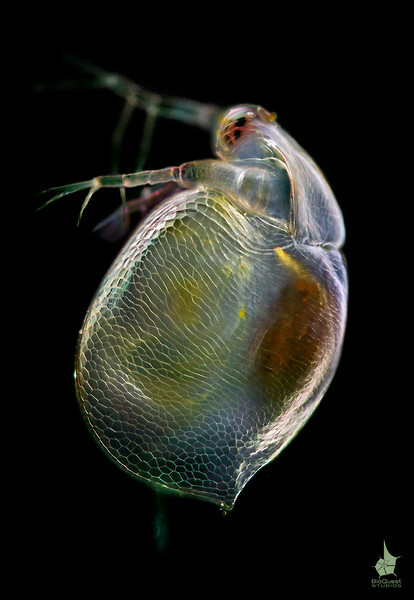 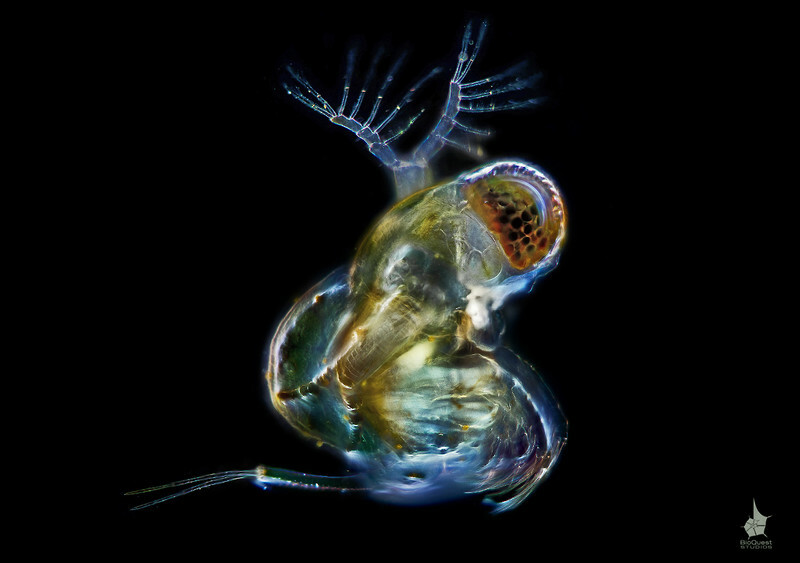 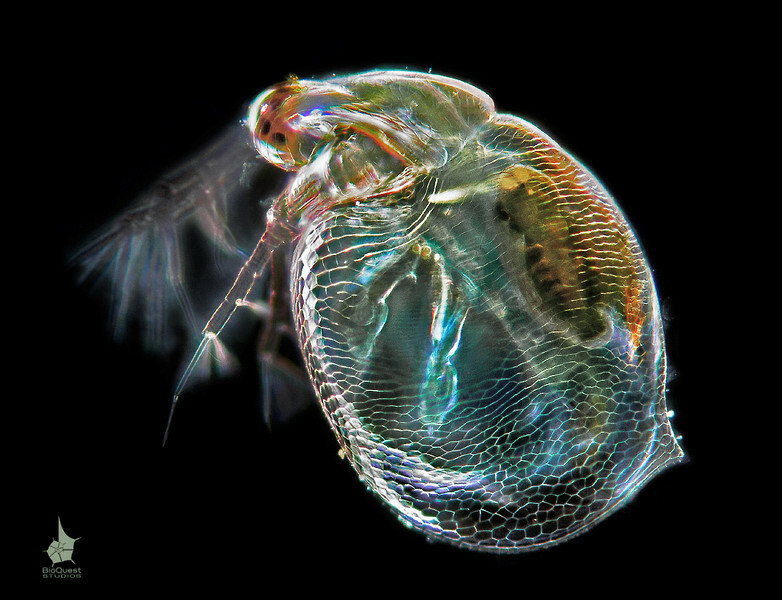 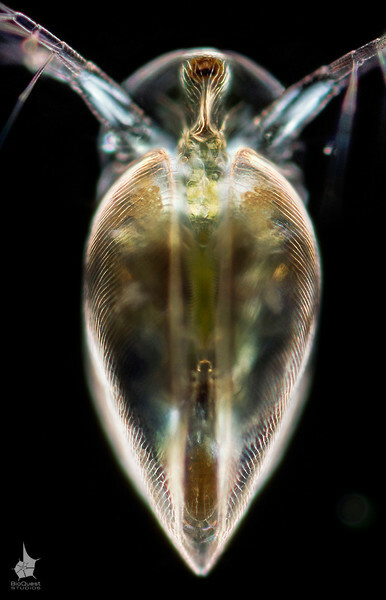 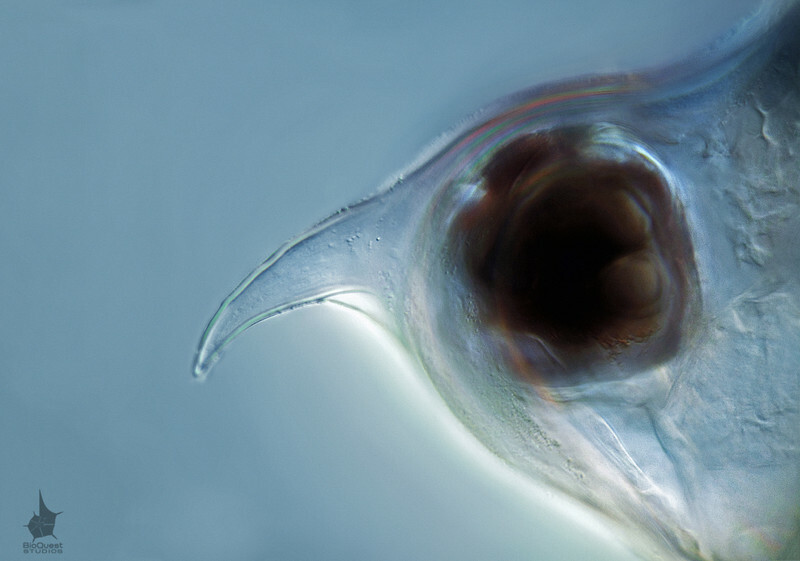 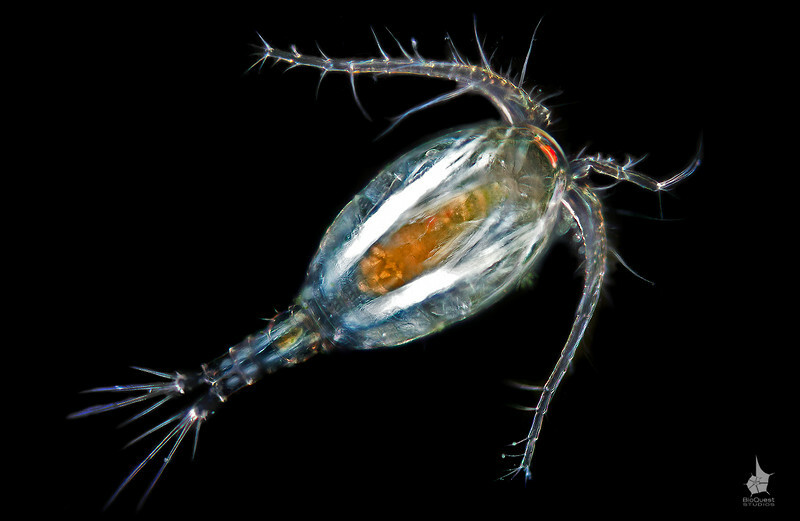 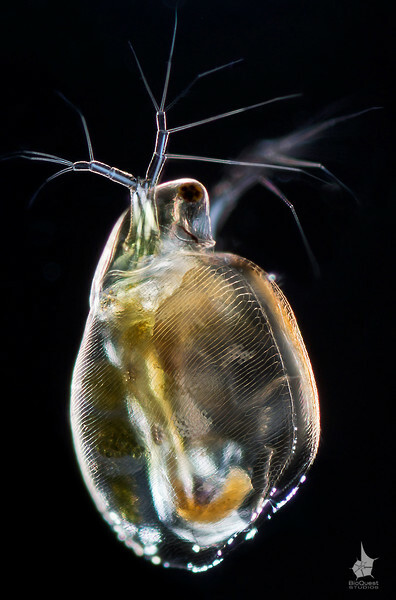 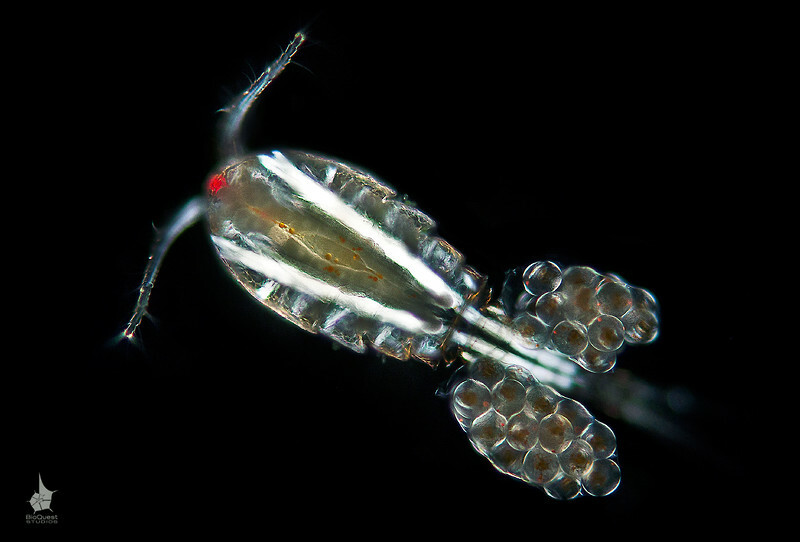 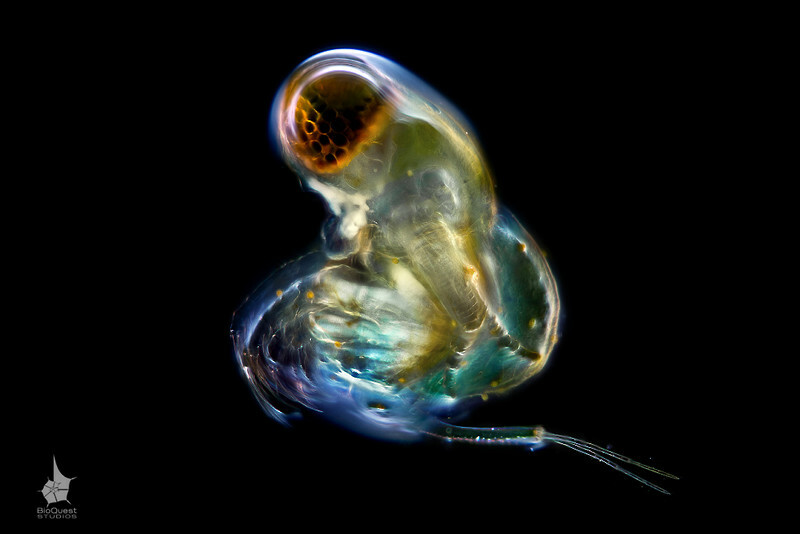 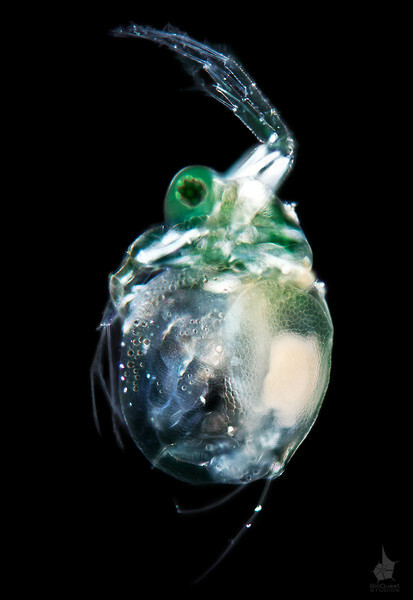 Scapholeberis mucronata,a head and an eye of a water flea. 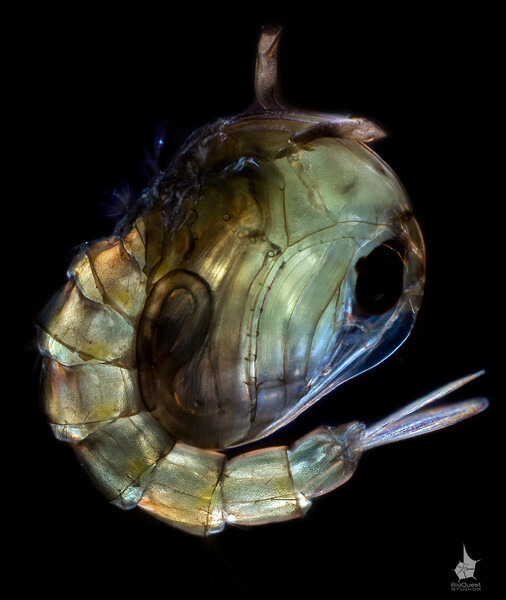 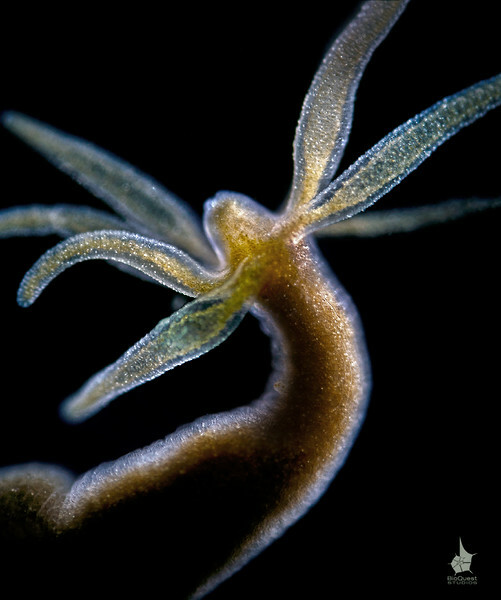 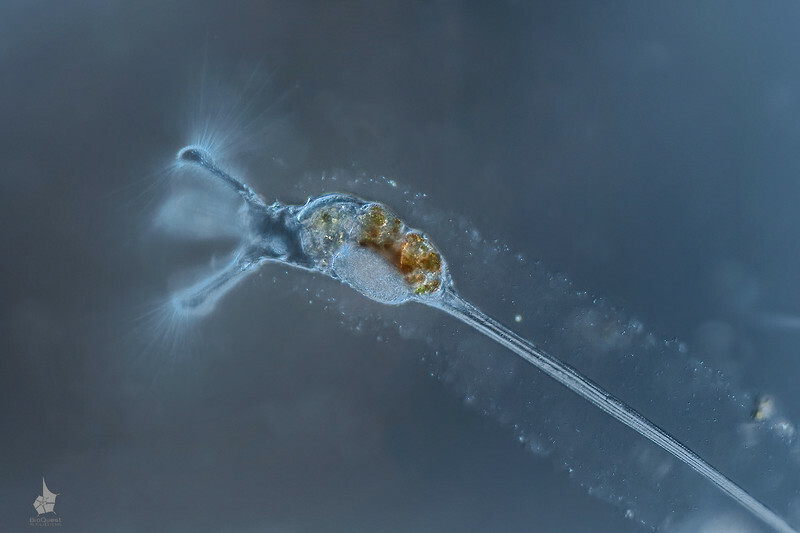 The size of the whole animal is about 0.6 mm, while the head is just a small part of the body. 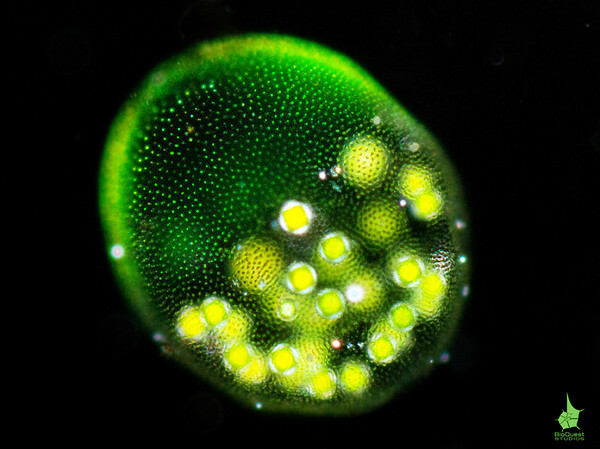 This image is made with a 100x lens with DIC illumination.